We recommend reservations for all parties to ensure the best possible dining experience for our guests. Prefer to make your reservation via phone? You can make a reservations by calling (732) 830-5770. Please leave a message and someone on the Labrador Lounge team will get back to you shortly. We understand how important outside dining is, however our patio is very weather-permitting. This summer, we are continuing with our NO outdoor reservation policy on Fridays, Saturdays, and Sundays only. We will, however, take a few reservations outside for parties of 8 or more, but as previously stated, weather permitting. During the week from Monday-Thursday we will reserve tables outside. If you do make a reservation on a Friday, Saturday, or Sunday; you will be sat in our inside dining. All reservations for outside are weather permitting only. For all reservations, we only hold a table for fifteen minutes and we do not seat incomplete parties. Please arrive together at the time of your reservation. Thank you for your continued loyalty, understanding, and cooperation. Looking forward to another amazing summer with everyone! Catering and Events are opportunities for us to work more closely with our guests, occasions for us to share our dedication to celebration in exciting new ways. Please contact info@cateringbymarilyn.com to learn more about our on- and off-premise catering opportunities. The Labrador Lounge offers a comforting dining room as well as outdoor patio for open-air dining when the weather allows. When the summer sun is shining and the ocean breezes are blowing, the Labrador Lounge patio is one of the most sough-after locations for open-air dining on the Jersey Shore. Our outdoor seating can also be transformed to meet your private-party needs. From birthday parties and showers to wedding celebrations, we created one-of-a-kind experiences for our customers and their guests. 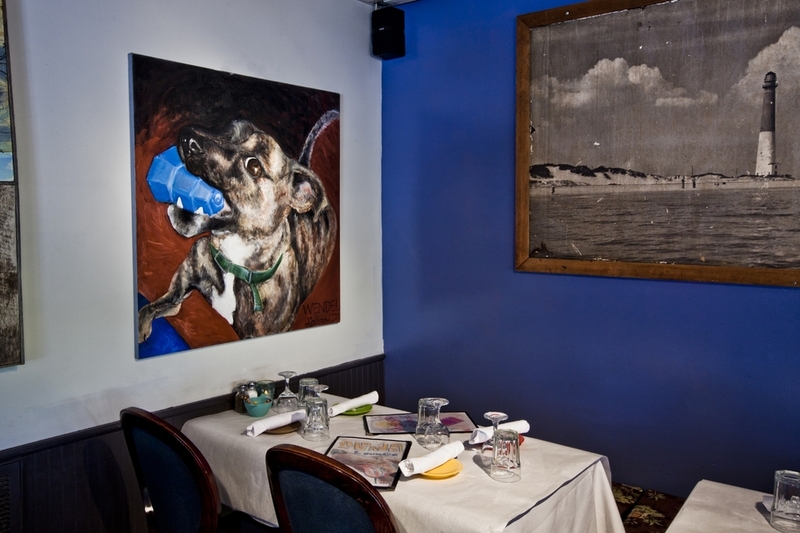 The Labrador Lounge dining room is a place where good food and lively conversation permeate the restaurant. An intimate space that offers booths and tables, patrons can enjoy an eclectic, laid-back atmosphere that encourages guests to sit back, relax and enjoy the moment! Call (732) 830-5770 to reserve either room for your reception or party.